New York, N.Y. (February 12, 2019) – Lewis Brisbois will sponsor and host an event by the National Association of Women in Construction (NAWIC), taking place February 19th in Lewis Brisbois’ New York office. The event, “NAWIC Builds Partnerships,” will include a keynote presentation from Willy Zambrano, principal and founder of ZAD Architecture, and former president of the American Institute of Architects (AIA), Queens Chapter. Mr. Zambrano will discuss a cutting-edge community development project in Queens, as well as the details of the AIA partnership with NAWIC to mentor high school students interested in the construction and building industry. The evening will include food, wine, and a chance to win raffles and prizes. 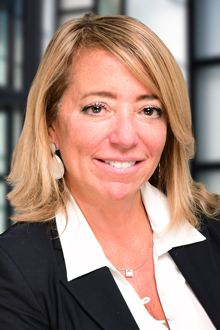 New York Partner Ellen Greiper, who was recently appointed to the Board of the NAWIC, will assist in organizing the event. NAWIC’s purpose is to enhance the success of women in the construction industry. Currently, NAWIC has a membership of more than 6,000 with 170 chapters in almost every state. Their goal is to advance the cause of all women in construction, from tradeswomen to business owners. The event is open to members, nonmembers, and students. Learn more and register here.